Anyway. Unlike marijuana in high school, Wordless Wednesday seemed like something I should try, since I’m getting back into using my DSLR camera and like to chase my kids around the yard like their own personal paparazza. But then I got confused about how “wordless” the post had to be. I’m a Schultz woman, after all, with a direct line to the Beattie clan, and not using our words is a foreign concept. So I searched around a bit and found that most people seem to include little explanatory blurbs with their pictures. Which sort of seems like cheating, but the direction I wanted to go anyway, so who am I to complain? 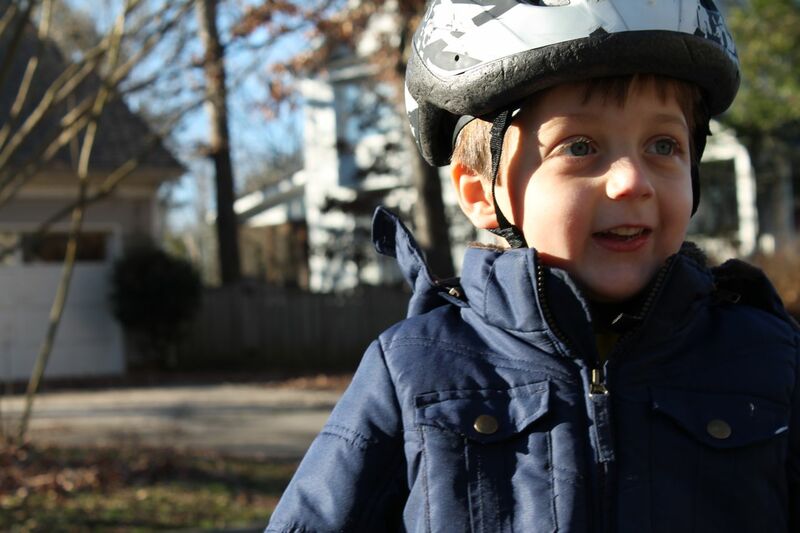 Now, hundreds of words later, my point: we had a big milestone over here shortly before Christmas: Noah learned how to ride his bike without training wheels, just in time for his 5th birthday. It’s quite possible that he has been capable of this feat for like, a year. 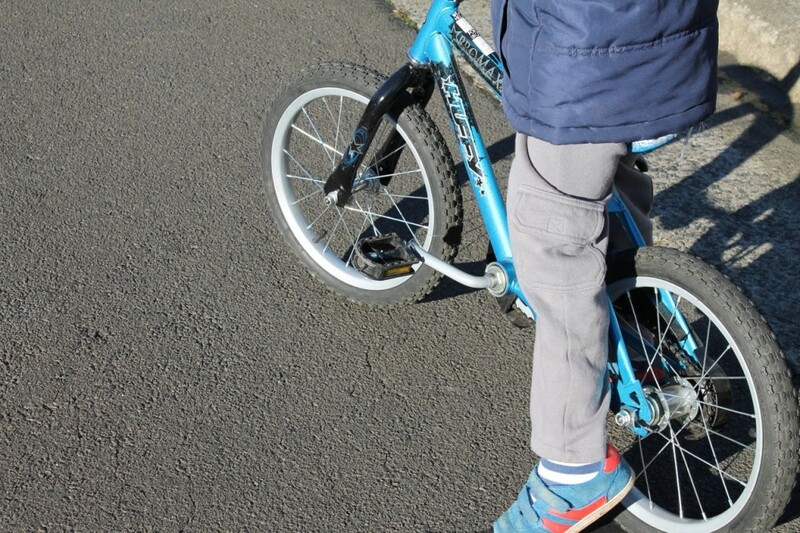 As he’d race around a cul-de-sac with the plastic training wheels scraping along the back wheel, one usually not even touching the ground, I’d say to Pat, “Uh, we should probably teach him how to ride without those pretty soon,” And Pat would agree, and then the next weekend we’d have the same conversation. 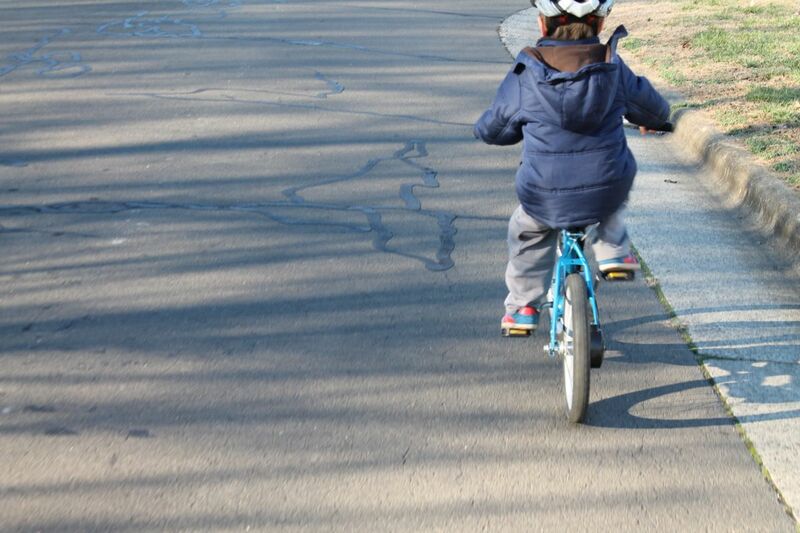 Then the Sunday before Christmas, I came home from running errands, and there was Pat, hunched over, holding the back of Noah’s bike seat, jogging alongside him. By the end of the day, Noah was wobbling down the street for a dozen feet at a time, needing us only to get him going. 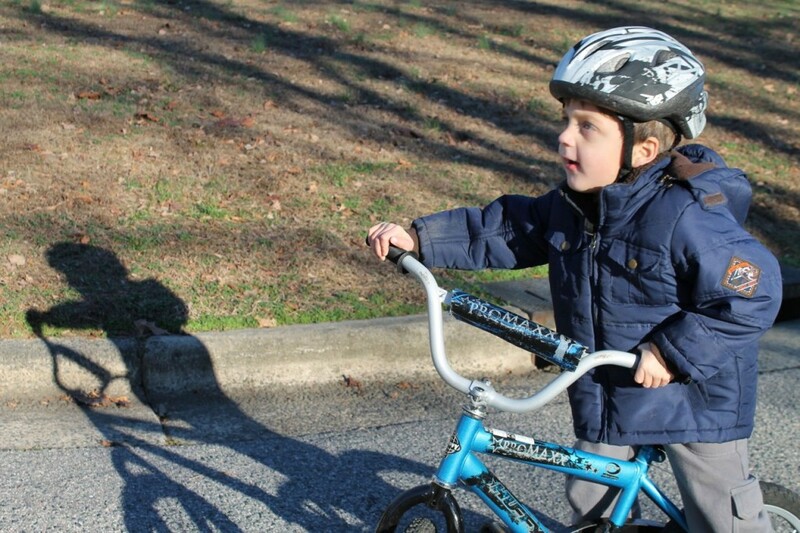 By the end of the week, he was completely independent, riding ahead while Pat did a three mile run through the neighborhood. Noah’s pretty proud of himself. 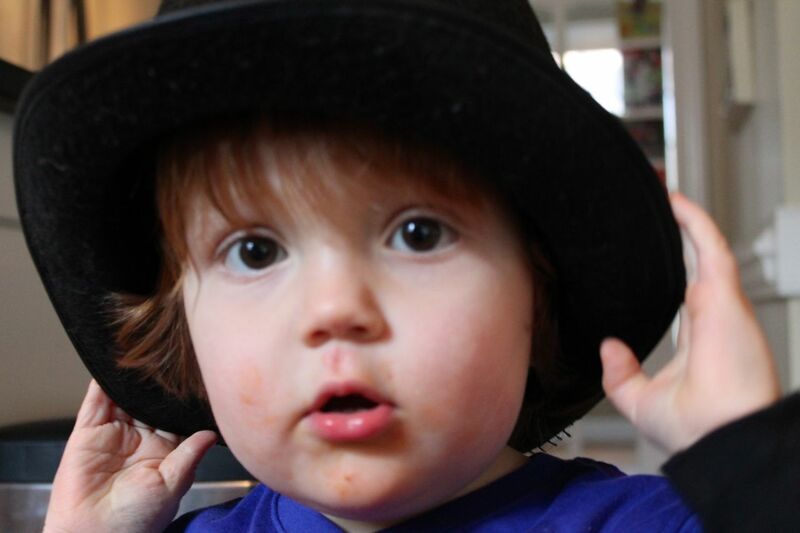 Fortunately for us, he’s cautious by nature, but this has instilled a new confidence in him. And we’re pretty proud of him, too. I know! It seems like just yesterday I thought he was definitely going to pick out the Dora bike at ToysRUs.